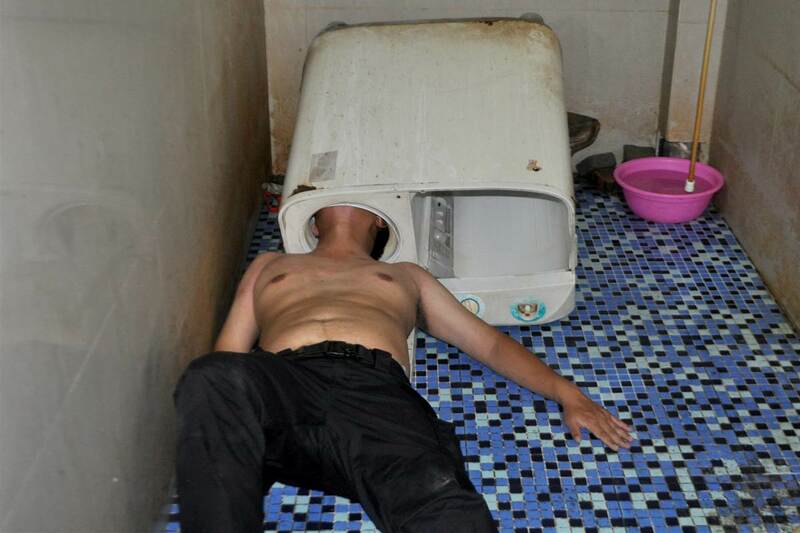 Nations Press feature news Man traps head inside washing machine! Man traps head inside washing machine! 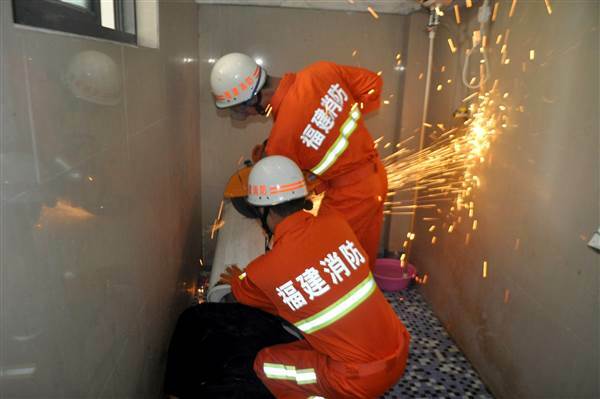 A man was going to use a washing machine in the afternoon on May 29 in Fuqing City, Fujian Province, China, when he found out that the machine was not working, according to Southeast Express. The man thought the drum might have been the problem, so he checked it out. Unexpectedly, he wasn't able to pull his head out afterwards. His roommate tried to help, but failed. Eventually firefighters came to his rescue. They cut the washing machine into pieces and eventually saved him.